Dr. Tovar loves the art of dentistry. Her greatest satisfaction comes from giving her patients beautiful, healthy smiles through quality care and cosmetic dentistry. She believes in taking time with each and every patient to answer questions and address their concerns so they understand their dental needs and options for treatment. 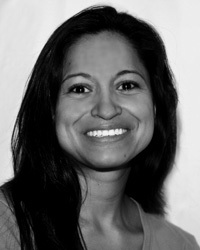 Dr. Tovar resides in Neenah and she would like to become more active in the community. In her spare time, she is attempting to become a better runner and become involved with runs throughout the area. She golfs, plays the violin, and performs fitness activities. She is also bilingual, speaking fluently English and Spanish.